Pádraig Kenny is an Irish writer from Newbridge in County Kildare. He has a first class master's degree in Anglo-Irish Writing from Maynooth University, and he has taught English literature and creative writing. He has worked as a freelance arts journalist, and as a scriptwriter he has written drama and comedy for radio and screen. 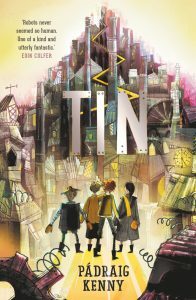 Tin is his first novel. 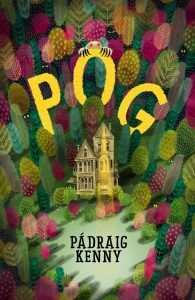 We’re SO EXCITED to reveal the cover and title for Pádraig Kenny’s new standalone novel for middle-grade readers, Pog, which is coming out in April 2019!